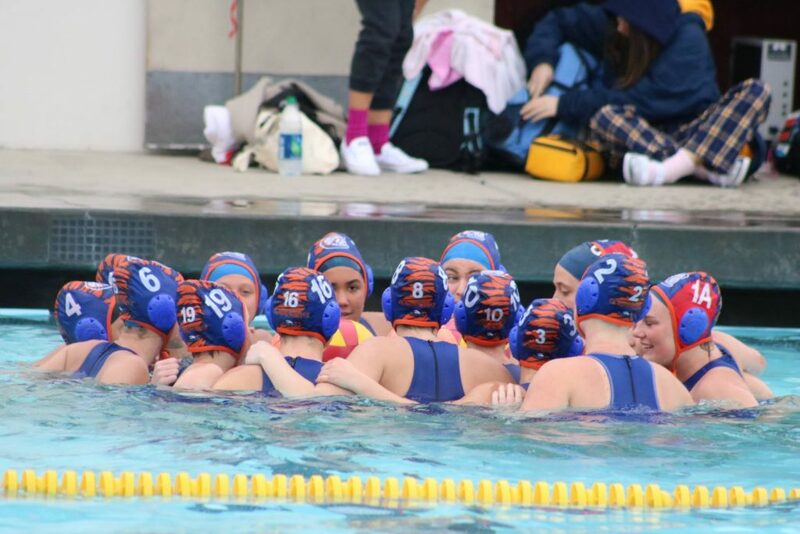 Chieftains News · Feb 6 Girl’s Water Polo Advances to Quarter Finals! 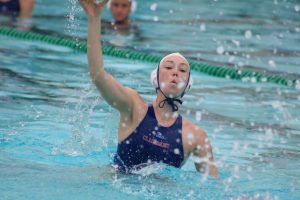 The Clairemont Girl’s Water Polo team took down the 10 seeded and #18 ranked Vista High 6-4 at The Tub on Tuesday night to advance to the quarter finals for the 6th straight season – 3rd straight in Division 1. Sophomore Phoebe Currigan lead all goal scorers with 3 goals, while senior captain Ella Denny added 2 and junior Ashlynn Sauerwein put away 1. Senior goaltender Hope Lovich recorded 9 saves on 13 total shots, as the Chieftain defense smoothered Vista majority of the match. The first half was tight as both teams came out firing in the opening minutes of the game. Vista took the first lead of the game after their Freshmen standout beat Lovich on the perimeter to put the Panthers up 1-0. But the Lady Chiefs responded shortly there after when Sauerwein blasted a shot over the goalie’s head to even the game 1-1. Midway through the first quarter with the game knotted at 1, Denny caught the Vista goalie sleeping, sinking a long range bomb from half tank to give Clairemont a 2-1 lead. The second quarter was a defensive battle for both squads, neither side breaking through for the entire 7 minutes, and the game went into halftime with a 2-1 score in favor of the Lady Chiefs. 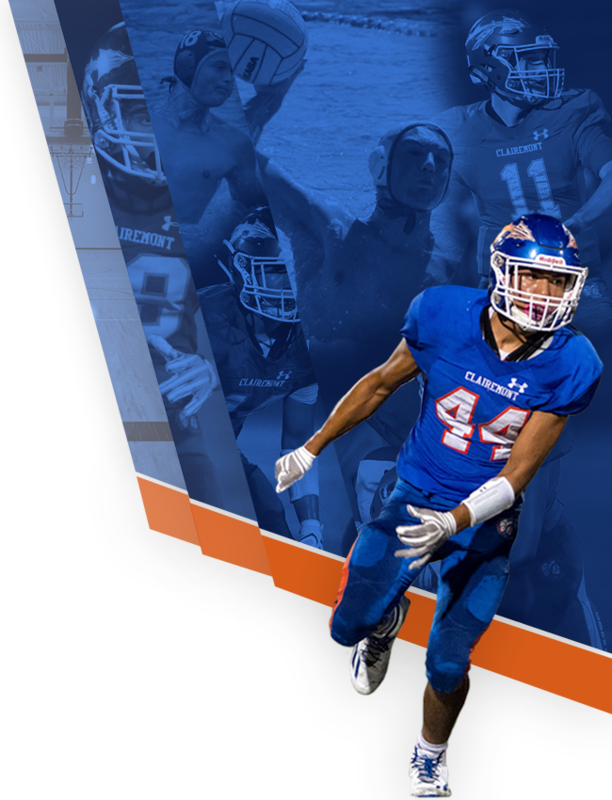 The third quarter was all Clairemont, who came out on absolute fire! Denny knotched her second goal of the match early into the quarter by wheeling her defender on the post, stepping out and ripping a shot over the goalie’s head! 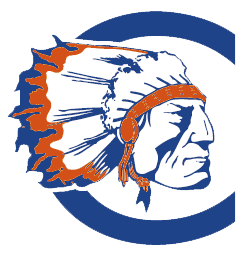 The next 3 possessions belonged to sophomore Phoebe Currigan, who scored back-to-back-to-back goals to give Clairemont their largest lead of the match at 6-1. Then the Chieftains honed in on their defense for the remainder of the quarter to preserve their lead. The fourth quarter was rough offensively for the Lady Chiefs, who struggled mightly against a now desperate Vista team that pulled out all the stops to get themselves back in the game. But the Chiefs held strong defensively until the 3 minute remaining mark, where over the ensuing 2 minutes the girl’s surrendered 3 goals to the Panthers. Now a 6-4 game with 1 minute remaining, Vista felt a renewed sense of hope and through everything at the Chieftains! But the come back attempt was thwarted as Denny controlled the ball through majority of the final minute to run out the clock and secure the victory for her team. 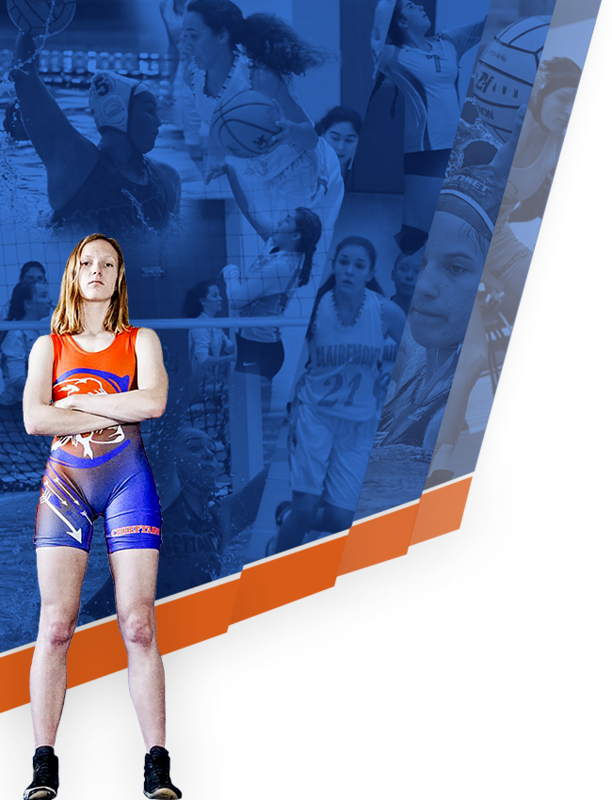 The Clairemont Girl’s Water Polo team (7 seed in division 1, #15 ranked team in the county) improves to 17-11 on the season, and have secured their spot in Division 1 for the next season. Up next, the Chiefs travel to La Jolla High to take on the 2 seed in Division 1 and #10 ranked overall El Camino Wildcats in the Quarter Finals. Game starts at 12:15pm! COME OUT AND SUPPORT YOUR CHIEFTAINS!! !